With Memorial Day coming up this weekend, one of my favorite all-American treats is the Root Beer Float. 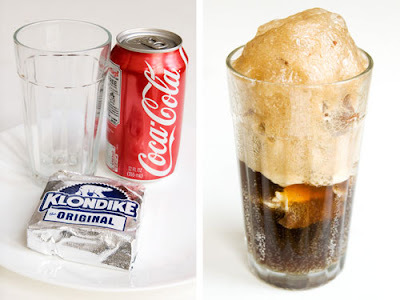 It’s a very simple recipe – root beer and a scoop of vanilla ice cream, but lately I’ve seen two adorable variations I just had to share. One mimics the standard recipe created in Colorado back in 1893, while the other one is a chocolately twist. I just die over anything miniature and the mini root beer float is no exception (right). 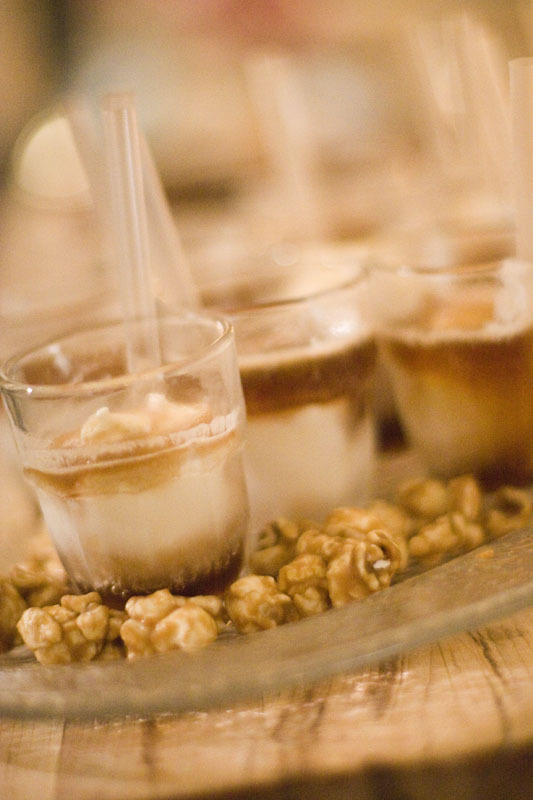 I saw this delicious dish passed around at a recent event that was covered by Biz Bash, but in my research, I found this cute recipe with resources to buy the cups from Smarty Had a Party. A few weeks back, I saw the most simple, mouth-watering recipe on Serious Eats – the Klondike Float. It’s basically a half a Klondike Bar with a can of Coca Cola! Oh and for those of you planning a trip to Pittsburgh in a month, the Klondike was invented in the Steel City! !